The Southern Highland Craft Guild opens its fourth and final exhibition for the 2018 year with Forging Ahead: A Blacksmith Invitational in the Folk Art Center’s main gallery upstairs. 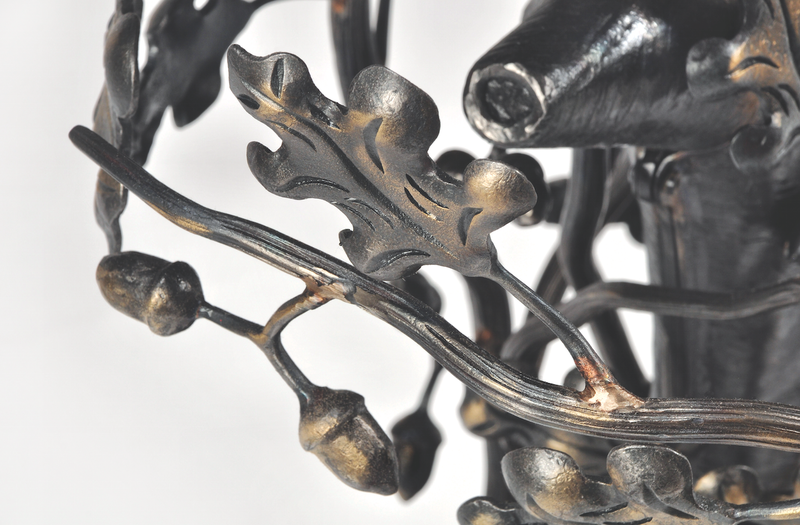 It features 36 objects from makers of the WNC chapter of Artist Blacksmith Association of North America. Works range from functional to decorative emphasizing the discipline of finesse with fire of a forge. On Saturday, November 3 exhibitors will be hosting an opening reception in the gallery from 3-5pm to discuss their work and celebrate blacksmithing with the public. Join us!